Kris Kringle is a thin, negative, lonely young man looking for meaning in the big city. One day, his life is about to change when he meets a strange elf on the street. He soon discovers his destiny is to become the Santa Claus, but in order for the magic to come alive, he’s got to find the perfect mate to complete him. Kris must overcome his own personal obstacles and learn the true meaning of Christmas. With the holiday looming, he searches the city streets for the perfect wife. Can Kris find his soul mate and learn about the spirit of giving in one night? Anything is possible. 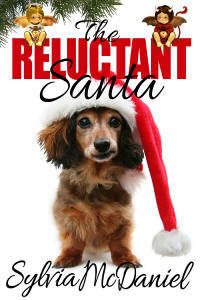 Finding Mrs. Claus, a short story by Shannon Rouchelle, is a charming holiday tale. Kris Kringle lives in a big city, working at a toyshop. He's a bit on the pessimistic side, and I found his characterization interesting, a good take on the original story. Right away, because of the unique approach, I didn't know quite what to expect, and that kept me reading with interest. He's just your normal guy, lonely and searching for more. An elf, unknown to Kris, approaches him. Kris doesn't much appreciate him and is at first resistant to the message the elf delivers. A change is coming, something big in Kris's future. He¹s supposed to be Santa Claus. The way this is written, it's as if he's the original Santa Claus, and this is how it all started. Kind of like the Christmas Story, new versions coming out all the time, where we watch to see how it will unroll in a new presentation. This presentation was cute. Kris helps a kid with something, and his strength of character comes out, making me admire him. He meets a beautiful woman but backs away, to later try to find her. It's interesting and a bit magical what happens with that. He experiences a bit of character growth, always a good thing. There are dashes of humor within too. For example, Kris receives a note: Put on the suit, already. They are all the same size. Do I need to cover your entire apartment with these clothes? Get the hint. Your pal, Mikey. Little parts like that made me smile. I might have given this story a higher rating, but it was often distant writing, telling at times; however the details given worked well to bring me into the scene, into the magical world created by the author. This is a charming, cute story, very sweet. Young and older readers alike will probably enjoy this quick read.